For some time, I have presented my highly acclaimed Natural Thyroid Solutions Workshop. What do you think the most common reason prompting attendees to attend my workshop? They are upset they have many, many thyroid symptoms and yet their thyroid tests are normal! In this blog post, I will attempt explain why this common thread exists among workshop attendees. There are many other signs and symptoms of thyroid malfunction which you can read about on my thyroid page. For even more information, read my thyroid eBook which is still available at no charge by clicking on the big orange button below. Having thyroid symptoms without having abnormal thyroid tests is more common than you might think. I know I was surprised when I started helping people with this conundrum. 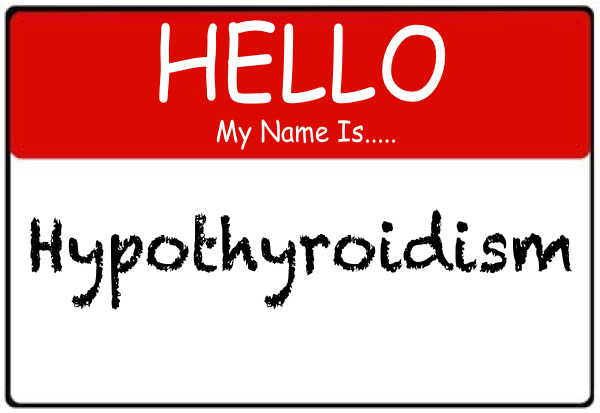 Most often the first thyroid marker tested is TSH, which stands for Thyroid Stimulating Hormone. This hormone is made by your master gland, the pituitary gland, and essentially tells the thryoid gland to kick up its production of thyroid hormones T4 and T3. Often, TSH is normal and will fluctuate up and down, especially when you have the most common cause of low thyroid symptoms in North America. Reportedly 90% of thryoid symptom sufferers are due to an autoimmune process called Hashimoto's. I feel the described thyroid testing protocol is fundamentally flawed. I have found that patients with thyroid symptoms often have normal blood TSH levels, even when compared to the tighter optimal functional range as recommended by the Endocrine Society (which is 1.8-3.0 mIU/L). As you can see, the standard TSH and T4 markers are normal, however free T3 (fT3) and Thyroxine Binding Globulin (TBG) and Thyroid Peroxidase Antibodies (TPO - Ab) are all out of range. This particular patient actually has Hashimoto's (an autoimmune condition affecting the thyroid gland) and a problem with low levels of the protein that carries thyroid hormones in the blood stream (TBG). If a doctor ONLY ordered TSH and T4 on this patient, they would have told the patient that their tests are normal. This is why only testing TSH can be misleading. I have written other posts that explore the reasons Hashimoto's is triggered by various substances, and environmental factors, which I recommend you read and share. I also highly recommend that you attend my thyroid workshop, or order my free thyroid eBook, my insiders secrets to thyroid recovery report, as well as watch my thyroid workshop DVD, if you cannot attend in person. I am also working on a webinar that you can sign up for to learn more about how to get your autoimmune thyroid condition tamed, so you can feel full of zest again. If you would like to order the thyroid seminar DVD, call my office at 586-731-8840. Please share this post with others you feel would benefit. Just click on any of the social sharing options at the top of this post. Thank you!